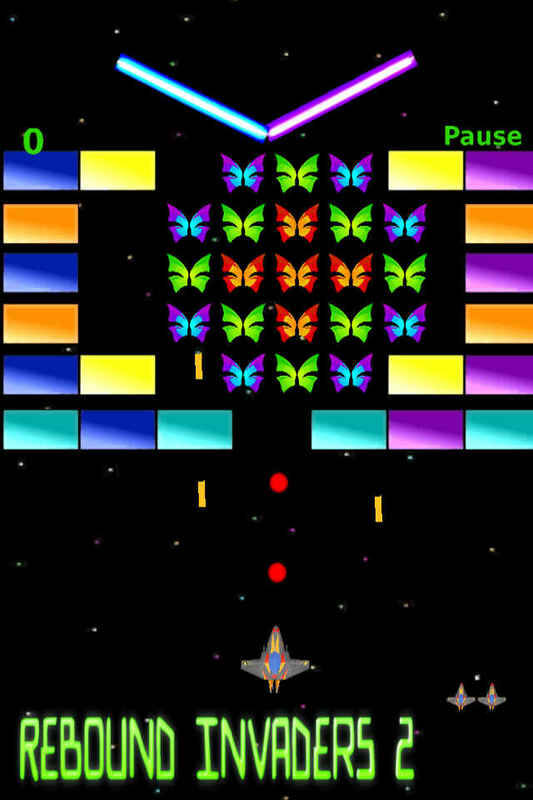 Rebound Invaders 2 :- The BreakOut. 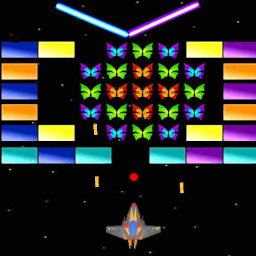 So here we have another retro style arcade classic, think of it as a combination of a space nvaders meets breakout. You still have your trusty blaster with unlimited fire power, but this time the aliens have floated repulse blocks in the depths of space. Your bullets will destroy these bricks, but take care as your lightening plasma balls will bounce right back at you! 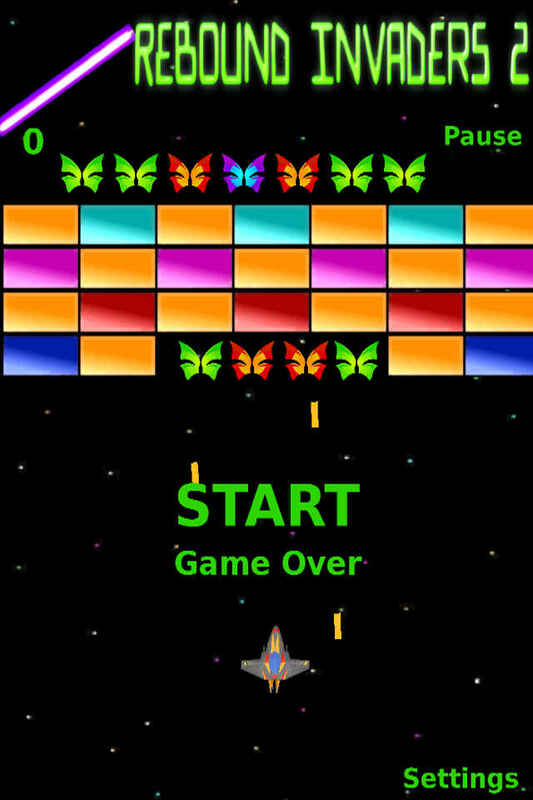 This is not an easy game, it will take all your skill, quick reactions and just a bit of luck to defeat the aliens.